Back to Lisska for Breakfast with Nick & Ginger & the Gang! Our family comes every Thursday morning for breakfast and enjoys the BEST BREAKFAST IN TOWN! 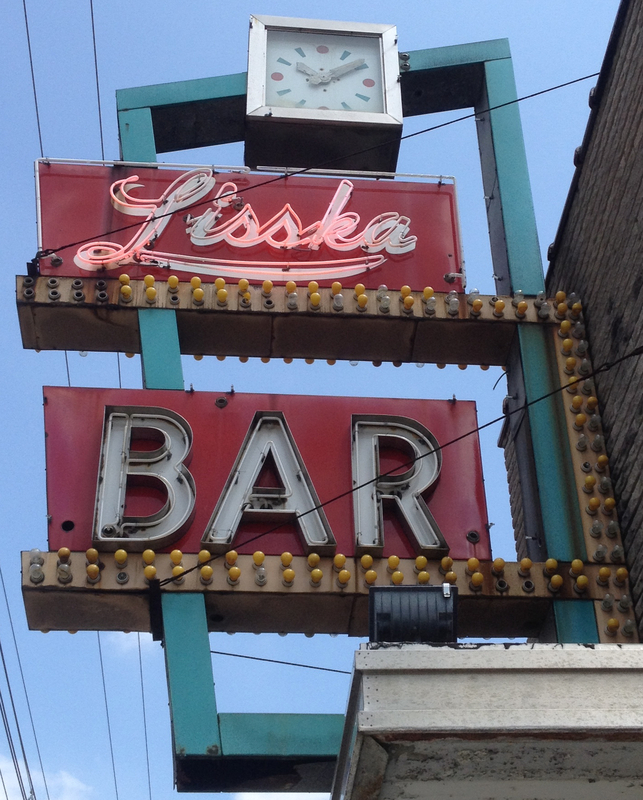 Our late parents enjoyed Lisska’s when they were “courting” in the 30s! It is an AWESOME “gathering place” – join us any Thursday morning for a great time about 9:30 a.m. So how could I refuse an offer like that? As long time readers know, breakfast is not my bag as it is my fourth favorite meal, so I decided to have a consultant join me -> Breakfast with Nick. We checked our schedules for a Thursday that could work and then I contacted Ginger to let her know when we would be joining her. This “breakfast club” of sorts started almost five years ago when one of Ginger’s brothers passed away. At that time, the three surviving siblings decided they need to ensure they spent regular time together so it was decided every Thursday they would have breakfast somewhere in the city. Lisska was there second Thursday stop and they have not found reason to change-up the venue since they rediscovered the place. There are ten consistent regulars in this group with an ever-changing and eternally growing cast of special guests joining together at Lisska. On my visit, there were at least twenty affiliated members observing the passing of another in their cohort over the summer. Over time, certain traditions have developed in this cadre. They always say a prayer together before they start a meal. They rarely miss a Thursday unless an out of town visit family or a holiday gets in the way of one or more of the group, although Thanksgiving is no barrier to breakfast for this collective of breakfasters. Special bonus sessions recognize important life events such as birthdays and St. Patrick’s Day. Over time, Ginger’s go to breakfast was named in her honor. I’d call it a “Jack Benny Special” but at Lisska, it is known as The Ginger: half orders of Polish Sausage, toast (no butter), hash browns and one egg over easy (see below – as you can see, my camera has not had it’s coffee yet). As I was introduced to countless breakfast guests I was quickly indoctrinated into this tribe. 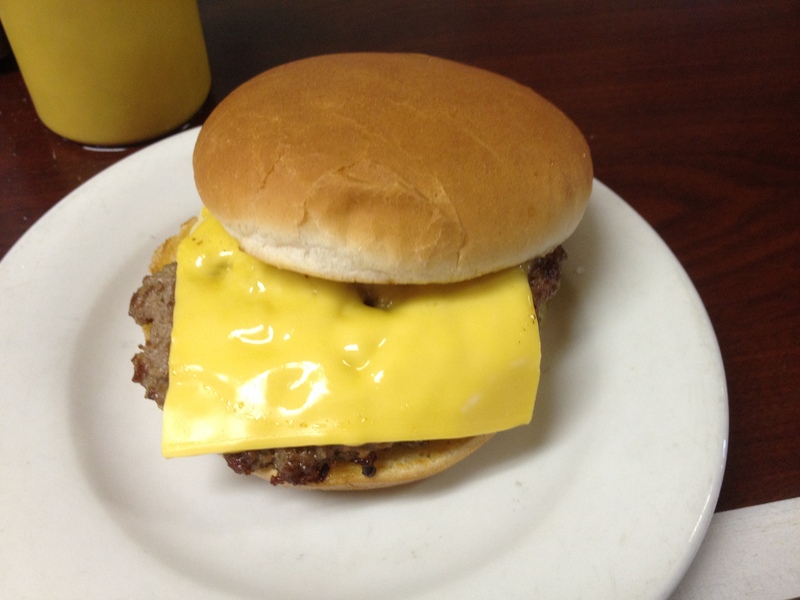 I learned what HEC, BEC and SEC stood for on the menu: Ham, Egg & Cheese, Bacon, Egg & Cheese and Sausage Egg & Cheese. When I learned that the Polish sausage came from Kowalski’s in Detroit, my order was simple, one SEC on wheat. While I waited for my order, munching on a sample of homemade coffee cake (exceptionally good), I learned the stories of most of the members of this group while Ginger and I connected on her many stories of growing up in Clintonville in the 1940’s and 1950’s as well as her careers in the insurance industry, law offices, an employee benefit company and countless community causes over the years. She connected the dots on how these people intertwined with each other and how many of them are connected to others I have come to know over time. Listening to the background chatter amongst this group I do not think one Columbus area Catholic school or church missed at least one mention as updates were made on the multitude of charities and community organizations this group invests their time and hearts into. As I indicated before, breakfast is not my thing. I would be hard pressed not to find a dessert I would not love, a price that did not seem like a steal or a story that ran on too long sitting on a stool here. My meal was fabulous but that was a side-line/dish to the company I was keeping. Sometimes a eatery creates a community among regulars or on occasion a community decides to make a place their own. Either of these phenomenons are rare occurences in this era. You can’t create the “glue” that creates a community like this on social media, in a corporate establishment or a new restaurant, even if independent, that has a business plan, extensive branding and lacks a less than a decade of grease on the grill. It takes a long time for a place to create a character for itself or to find a soul in its bricks and mortar and even then, you need to right mix of people on both sides of the counter to make the whole greater than the sum parts on the menu. This is an old school breakfast club that we could stand to have much more of today, even if other meals are involved. I started writing about food because I was interested in the history and stories of the people behind the counter and because by talking about food and not myself, it was easier for me to connect with people. So this was a great opportunity to reconnect with writing with connecting with a new community. And I got to hang out with Nick for a while, something I have not done in almost a year. Thanks for the opportunity Ginger and thanks for creating a community space (by fate not intention) Lisska.